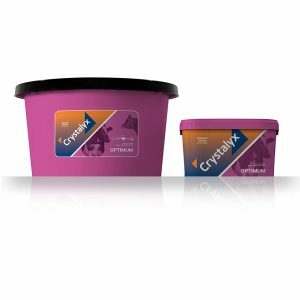 Crystalyx Garlyx is primarily designed to maximise animal performance by stimulating forage intake and digestion, with an added high concentration of garlic to protect cattle and sheep from biting insects. The natural high sulphur compounds in garlic act as an insect repellent which ward off fly’s and other biting insects. Crystalyx Garlyx is ideally provided to livestock at time when fly’s and biting insects are extremely prevalent. If livestock are stressed and or irritated then they are less likely to graze, therefore becoming less productive. 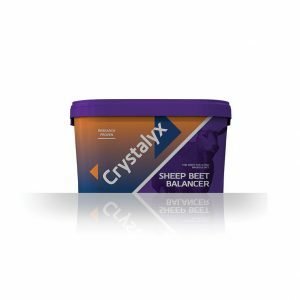 If livestock’s skin is made less attractive to biting insects then they are less likely to bother livestock. The concentrated natural garlic contained in Crystalyx Garlyx is consumed by livestock with every lick, and over the days that follow the garlic passes through the animal and is secreted out from pours in the skin, this produces an invisible barrier around livestock which flies and other biting insects find repellent. Garlyx also contains a full complement of vitamins, minerals and trace elements to balance the deficiencies in summer grass. 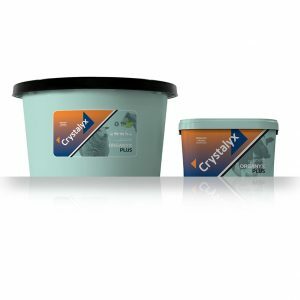 High levels of zinc contained in Crystalyx Garlyx also help to maintain skin integrity and strength to further guard against biting insects.